This entry was posted on May 11, 2017 at 3:17 pm and is filed under The Universe and Stuff with tags Alan Guth, Anna Ijjas, Avi Loeb, Inflation, multiverse, Paul Steinhardt, Scientific American. You can follow any responses to this entry through the RSS 2.0 feed. You can leave a response, or trackback from your own site. It is not because you believe in Inflation that Inflation is real. Faith may be necessary to develop a good theory but it must not be used to promote it! To elevated a very unlikely theory to a golden standard status is likely to cause a dark age. But for me, the main problem with today’s Physics is the faith in a model which is fundamentally probabilistic. This caused a dark age for Physics… All arguments stating that Nature is fundamentally probabilistic are based on circular and short sighted arguments. It is equivalent to believe in magic. Peter, Penrose was the first person to criticse inflation back in 1980s long before COBE and I don’t think anyone took Penrose seriously back then. I think one limitation of all inflationary models is that they don’t address the problem of big bang singularity or other problems of standard big bang (dark energy, dark matter, baryogenesis). You can remove the singularity in GR by simply violating the strong energy condition (which inflation does, actually). But we don’t expect GR to apply at arbitrarily early times anyway, and we don’t know what to replace it with so “We just don’t know” is the only scientifically justifiable position. I don’t think Penrose was the first. In the early 80s there were a great many inflation sceptics. Yes, but for different reasons than those of Penrose. I don’t think that Penrose’s objections have been suitably addressed. Penrose’s claim is that the cure is worse than the disease. Inflation essentially does away with the need for some types of fine-tuning, but in order to get inflation to work one needs even more fine-tuning. Penrose, despite his highly valued contributions to GR, maths, etc, hasn’t done himself a favour by sticking to unorthodox ideas once they have been debunked. This does, but perhaps shouldn’t, colour the perception of his criticisms of inflation. Steinhardt has been grinding the same axe for years. Interestingly, Andreas Albrecht, one of the early inflationary aficionados, is also rather critical of it these days, promoting his own alternative theory, but is more gentlemanly about it. Actually, the original motivation for inflation, back in the USSR (cue a song by a popular Beat combo) in the 1970s, was to avoid the singularity. Indeed. Who questions GR because what it tells us about the inside of black holes is not observable? The universe does not care what we like. What is your objection to it? Do you have a better explanation for observed fine-tuning? What’s wrong with saying that you don’t think we have a satisfactory explanation for something at the present time? If we knew everything then there wouldn’t be any research left to do, would there? Nothing wrong with it, but “don’t like” sounds, to me, different than “no satisfactory explanation available”. I don’t see the problem. I like some ideas and don’t like others. I like physics and don’t like inorganic chemistry, for instance. I hope it’s obvious that does not mean that I deny that inorganic chemistry has any validity. Chalk and cheese. Liking physics and not chemistry is a matter of taste. Not liking the multiverse sounds like you don’t take it seriously. Some theories smell good: they seem to get to the heart of the problem and put up a framework which everything fits into, and take the risk to make clear predictions. GR and QED are examples. Or Newtonian gravity in its day. 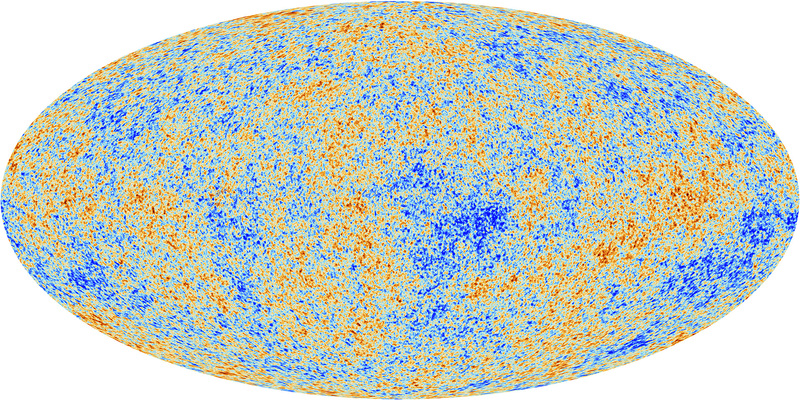 The multiverse doesn’t have that smell: it feels evasive, living in untestable regions of parameter space. Observational disproving it is like nailing down jelly: it evades the nail and just pops up again slightly changed. That says nothing about whether it is correct or not, but it feels an unsatisfactory way to be right. This argument over inflation is concerning. One of the biggest problems with academia – certainly on my experience – has been twofold: first, the way that some (not all) academics conflate their own personal self-worth with either their status in the field or a particular ideology or theory; and second, there is a collision between our methodologies of analytical philosophy – particularly the mechanisms of analysis and the need to classify everything within specific theoretical frameworks – and what we are observing. Right now cosmology seems to face some pretty substantial issues that question some of the theoretical orthodoxies of the past century. This doesn’t mean Einstein was wrong – I think it is very clear indeed he nailed the determinist universe. However, as he said himself over the quantum-determinist debate, maybe we were missing something. Right now, it seems to me that cosmologists need more empirical data. I’d hope that meanwhile the debate over our current knowledge of it doesn’t get personalised, but it does look very much as if that’s where it’s going when leading figures in the field start making public declarations basically bagging each other’s positions. Ouch. This sort of behaviour is a problem in the humanities (I keep running into it) but aren’t scientists meant to be above that? One of the basic problems I see with the Big Bang Theory goes to the original patch; That when they discovered redshift is directly proportional to distance in all directions, making us appear to be at the center of the universe, the premise of spacetime was invoked to argue that space itself must be expanding, making every point appear as the center. This would seem to overlook the central premise of Relativity, that the speed of light remains Constant to the distance. If the light is redshifted due to taking longer to cross an expanding space, it is necessarily not Constant to this distance. More lightyears, not expanding lightyears. So two metrics of space are being proposed for the same light; One based on its spectrum, that is expanding and one based on its speed, that is the unspoken denominator. Now we are at the enter of our point of view, so possibly some future efforts could go to using an optical explanation for redshift and see how many observed effects could be explained by it. Such as if it compounds, redshift would start of gradually and eventually go parabolic. Possibly explaining the curve in the rate currently requiring dark energy. Or that after all light is shifted off the visible spectrum, only radiation travels over this horizon line, explaining the cmbr and Olber’s paradox. Conventional cosmology explains all your puzzles. I recommend Edward Harrison’s Cosmology: The Science of the Universe. Given the topic at hand appears to be cracks in conventional cosmology and this is science, not religion, it is at least worth considering alternate explanations. Among other things, there are second generation stars in our own galaxy that are approximately as old as the universe. While there might be some interesting puzzles, the nature of the cosmological redshift is not one of them. Michael J. Disney is the author of the linked article; he is notorious for criticizing cosmology in general, usually with arguments like “faint objects by definition convey little explanation”. In general, just because some things might be unclear, there is no need to question firmly established facts. I’ve just read Mike Disney’s article. If cosmology were a person, she could sue for libel. If I hadn’t run across similar diatribes from him before, I could almost think that it is supposed to be some sort of satire. Responding to the issue he raises, the Tolman test, would be a far more convincing rebuttal than hand waving. Or for my sake, you could show me exactly what the problem is with the issue I raised, how can the premise of spacetime be invoked, to explain redshift, when the light speed is explicitly not Constant to the distance? On a more general level, how can the Big Bang Theory actually be considered science, since there is no way to refute it, given that every time observations don’t match predictions, some enormous new force of nature is proposed and accepted? It was one thing when the ancient and medieval astronomers did this with epicycles, because they were not totally ignoring a generally accepted theory of science, that of falsifiability, given it had’t yet been proposed, but today, not only is the BBT unfalsifiable, but the exact same method of adding a new cycle, energy, whatever, is being used again. You may as well lump me in with Disney. For this to work, you have to know the intrinsic surface brightness. You don’t. Sandage wrestled with this 50 years ago. Even with SINGLE STARS, namely supernova, it is not trivial to calculate the intrinsic brightness. Again, read an introductory cosmology book. I suggested a good one above. On these two points, if there really were a problem, don’t you think that someone other than Mike Disney (who is not a cosmologist) would point it out? This is a caricature, not a valid description. No, it’s not. Read up on the history of cosmology. On the contrary, one might be surprised that all current observations can be fitted with 1920s cosmology. It has been some years, but the history of cosmology books I did read skipped over that issue quite lightly, because the primary consideration was how to explain redshift and the two alternatives were recession and ‘tired light.’ Tired light being dismissed because there was obviously nothing obscuring or diffusing this light that had traveled extreme distances. So since cosmology is not a settled science, or dark matter and energy wouldn’t be referred to as ‘dark,’ nor would there be this current kerfluffle over Inflation, are there alternatives to recession. Whether it is photons, or simply the pixels that digital cameras, even the very good ones used for astronomy, detect, light is still detected as packets of energy. Obviously it is emitted as quanta, as well. So the question I see as interesting is whether it would travel as quanta, or as waves and quanta are samplings of these wave fronts. Aka loading theory. Remember that when we detect light from very distant galaxies, we only are getting a very faint amount, essentially a little more than a few photons worth. So if it was only individual photons traveling the entire distance, they would only convey the specific information of the specific incidence from which they were emitted, but we in fact do manage to extract a lot of information from this very minute amount of light, so it stands to reason, at least to me, we are sampling a multi spectrum wave front and so, according to Christov’s above linked paper, such packets would redshift due to distance alone. Given I do have to work fairly long hours and in all the reading I’ve done, have not seen the issue even mentioned, other than by me. So is there any link you can give me, that does address the issue of how light can be both redshifted and constant to the distance, because I’ve been been raising this particular issue for about 15 years and no one has yet pointed out where it was settled. What does “constant to the distance” mean? The speed of light, as in lightyears, is the conventional astronomical unit. So my question is; If they are going to say the unit measures of of space are expanding, than wouldn’t the speed of light have to increase, in order to remain Constant? Yet this is obviously not so. Consider the alternative explanation for redshift, tired light, which tried to find some medium that would slow the light, so the question is very much about the speed of light relative to this distance between galaxies. The point is that if two galaxies are x lightyears apart and the universe expands to where they are 2x lightyears apart, what is the basis of this vacuum through which light travels at C, if it is not space, since space, according to BBT, is expanding, while the speed of light remains Constant. There are more lightyears between galaxies, not expanded lightyears. Presumably the cosmological ruler is lightyears, yet this ruler is not expanding, only the distance it is being used to measure. More lightyears between galaxies, not expanded lightyears. How does space expand, if the ruler used to measure it doesn’t? Is the vacuum through which light travels at C, something other than space? The cosmological ruler is lightyears. If the light of distant galaxies is redshifted because they are moving away, then there are more of these units of measure between galaxies. That is not expanding space. That is increasing distance, in stable space. The speed of light in a vacuum is 186000 miles a second. A mile is a unit of distance, as in one dimension of space. If the argument is that space expands and that it is relativistic space, then we still ALWAYS measure the speed of light in a vacuum at 186000 miles a second. C. So if space and thus the mile, is expanding and it is relativistic, then the speed of light would have to increase, with this expanding space, in order to always be 186000 miles a second. Yet that is not the argument. Which is that this expansion causes redshift. So that light takes longer to cross this expanding space and if our mile markers are expanding, then the light would be slower than C.
I’m sorry but that is simply wrong. The constancy of c is built into general relativity. You need to read some basic physics books. Let me again recommend Harrison’s excellent textbook. All the maths are there, but it is perhaps more accessible than most other books. He also explains common misconceptions well. If the light is redshifted, because it is taking longer to cross, then the speed of light is NOT Constant to the space between galaxies. So using the premise of spacetime to explain why we appear at the center of the universe completely overlooks the central point of GR. Redshift does not arise in the way you appear to think. Perhaps you should learn the basics before commenting further. I endorse Phillip’s suggestion that you read Harrison’s book. So, redshift is not due to the other galaxies moving away and light taking longer to cross. We don’t have to worry about everything eventually moving so far away that nothing beyond our own neighborhood of galaxies is no longer visible? I have read a fair amount on the subject, but it is your blog and if that is the limits of your input, I better not push the issue. I would comment the current argument over Inflation doesn’t have an easy resolution and issues like dark energy and dark matter are not going to be easily solved, so eventually new generations of cosmologists are going to pursue other ideas. As an occasional commenter at phys org, I’d say the percentage of BBT doubters, among interested laypeople, has gone from about 15% to over 50% in recent years. There is only so much that chasing multiverses can entertain. I repeat. The cosmological redshift is perfectly compatible with constancy of the speed of light, indeed it is built into the Robertson-Walker metric that underpins the theory. I’d like to see a reference to the evidence on which you claim about those who doubt the Big Bang Theory. Of course all scientists doubt their theories. That’s why they spend so much time trying to test them using evidence. That’s not quite the same thing as dismissing things out of hand without bothering even to attempt to understand them properly. To clarify, your statement “redshift is not due to the other galaxies moving away and light taking longer to cross” is correct, as you would know if you read a basic textbook. Thank you for the advice. Unfortunately I don’t have the time to digest that level of math and so it doesn’t give me a clear explanation for why what was originally assumed to be basic doppler shift, isn’t. Even though all the popular descriptions use terms like expansion, recession, big bang, etc. As for those doubting the current model, I have, in my internet wanderings, run across a few, though that comment was inspired by a recent foray into the phys org comments sections, after at least a year away, where there are usually a strong contingent of BBT supporters, to balance the electric universe , Halton Arp fans, etc, but there was only one strong advocate and the ones in the middle seemed to be more willing to question the paradigm. String theory wars and now Inflation issues are starting to take their toll. I don’t necessarily follow the subject that closely, because I really got into studying science as a way to make sense of society, rather than technical or mathematical interests. You might say that childhood interest in war machines evolved into a teenage interest in the mechanics of war and thus politics. It seemed obvious to me, from an early age, that there are various unspoken physical processes, largely thermodynamic, governing social dynamics and assumed studying the sciences would give me a better handle on it. Unfortunately mostly what I found was excruciating attention to details and not much concern for those larger patterns. Given we evolved in a thermodynamic environment, you would think there would be some study about how these processes, waves. circulation, feedback, etc, govern us, but its mostly background to names and the preferred ideas. What I do see as the most basic mistake(pardon the presumption) being made, is that we model time backward. We experience reality as flashes of cognition and so think of time as this point of the present, moving along a narrative line, from past to future. Newton’s flow. While spacetime seemingly escapes this, it doesn’t because it simply distills and codifies time as measures of duration. Which really are measures of the timeline. What causes time is change, turning future to past. Tomorrow becomes yesterday, because the earth turns. This makes time an effect of action, similar to temperature, color, pressure, etc. We could use ideal gas laws to correlate temperature to volume, similar to how GR correlates measures of distance and duration, but since temperature isn’t foundational to our thought process, only our bodily functions, we can be more objective about it. I realize you are going to throw a lot of math at me for saying this, but the block time concept does seem muddleheaded. It can’t even explain why time is asymmetric, until entropy is apparent. Yet if we understand time as a measure of action, then inertia explains asymmetry. The earth turns one direction, not the other. Different clocks can run at different rates because they are separate actions. A faster clock necessarily uses energy quicker. Like an animal with faster metabolism ages quicker. Witness the twin in the faster frame ages quicker, she doesn’t travel into the future faster. The simultaneity of the present was dismissed on the premise different observers will see events in different order. Yet it is the energy which is conserved, not the information it transmits. This is no more remarkable than seeing the moon as it was a moment ago, simultaneous with seeing stars as they were years ago. Energy, not information, defines the present. The flow of information coalescing out of probabilities and receding into residual structures is the flow of time. Alan Watts used the analogy of a boat and its wake to describe this view of time. In that the wake, as the past, doesn’t steer the boat, rather the boat creates the wake. Events are first in the present, then in the past. Occurrence yields determination, not the other way around. In the east and in native American philosophy, the past is seen as in front and the future behind the observer. While the western view is that the future is in front and the past behind. That is because the eastern view is contextual, while the western view is more object oriented. So while we see ourselves as objects, moving forward, though our context, hence the association with direction and distance, the eastern, contextual view is that events occur, before they are observed, so are in the past. I realize you are thoroughly aggravated with my ignorance, by this point, so I won’t press my luck any further, but you did ask about those doubting the current model and so I thought some insight into the thought processes of one particular crank would have to do. I’m not aggravated by your ignorance, but your refusal to make any effort to learn the basics before commenting at great length on how I’m to blame for not educating you. Duration is the state of the present, as events coalesce and dissolve. I’m certainly not blaming you and thank you for taking the time to read and respond. I am naturally defensive, from past experience. It is impossible to be expert in more than a very few fields. As I see it, I’m a generalist and the patterns I see incline me to think what cosmology is actually observing are cosmic convection cycles, of expanding radiation and coalescing mass, which are then mathematically distilled to collapsing and expanding space, over the course of time. Space appears overall flat for the simple reason that it is. What expands between galaxies, is balanced by what collapses into them. So what Hubble discovered was actually Einstein’s original cosmological constant, proposed to balance gravity from collapsing everything into a gravitational point. I see black holes as the eye of the storm, not portals into other universes, infinite density, etc. I also see math as a mapping device, not the territory, nor the platonic foundation of the territory. As in three dimensions of space are really just the xyz coordinate system and no more foundational to space, than longitude, latitude and altitude are foundational to the surface of this planet. Being an expert might make one extremely knowledgable about a particular field of study, but it also naturally leads to biases. Which is why the people running armies are called generals and specialist is an enlisted rank. I remind potential commenters that I do not accept comments posted without a valid email address. I guess we are no more used to real models – as opposed to theories – these days. Clearly inflation hit a mark (as you very nicely summarized), but equally clearly the inflaton field is totally ad-hoc. In its current state, i tend to think about inflation like a Bohr-Sommerfeld model. It has its merits and explains observations, but very clearly it needs to be further fleshed out. it seems that the timescale for this is longer than a scientific career, so people get nervous. all very understandable, but really more about sociology than cosmology. The Bohr model is a good example. It is wrong, but that doesn’t mean that every aspect of it is wrong. It was a step in the right direction. Also, the fact that it is wrong doesn’t mean that all other models are equally valid. But I thought the problem was that the multiverse is now realised to be generic to the vast majority of inflation models. So if you appeal to inflation to create one Universe then you get zillions, whether you like it or not. It was when Alan Guth accepted this in 2001 – see https://arxiv.org/abs/astro-ph/0101507 – that it dawned that the multiverse had to be taken seriously. I find Guth’s view, as expressed in that paper and others, deeply unconvincing. I find the aspect of an anthropic-multiverse explanation very interesting because of its possible consequence that the multiverse killed the dinosaurs. Perhaps there is a part of the multiverse in which I am not a sceptic of the multiverse? There is no doubt in my mind that you can be a sceptic of the multiverse everywhere you like. I already am. My friendly advice to all multiverse sceptics is to read “The World-Thinker” by Jack Vance: I think Lamarck would know how to deal with Multiverse-Thinkers and their perturbations :-). I happen to agree with the first sentence of Brodix’s comment of 14 May, although I also understand the subsequent pushback from cosmology experts. The only real evidence for expanding spacetime is 1. Hubble redshift, 2. the Copernican & Cosmological principles, and 3. the cosmic microwave background. Wouldn’t it all be much more straightforward if you could account for this experimental data without invoking expanding spacetime (which no laboratory measurement has ever reproduced)? This would, of course, give physics and cosmology a really good shake up, but doesn’t everyone think that after so many years of stagnation and with so many unresolved issues in standard cosmology, that a really good shake up is thoroughly deserved? There is a 2003 paper by Davis and Lineweaver (aptly titled “Expanding Confusion…”) that looks at the possibility that you can explain Hubble redshift using a special relativity doppler effect, rather than expanding spacetime. It confidently concludes that this can be ruled out at a 23 sigma confidence level by the measured data. This paper is the number 1 reference on the wikipedia “Comoving and Proper Distances” page. Less frequently quoted is Alasdair Macleod’s 2004 paper “Redshift and Energy Conservation” that points out that Davis and Lineweaver forgot to divide by 1+z in their paper, which is required for special relativity, but not for general relativity. If you do that, it matches the Hubble redshift data quite nicely. So wouldn’t it be a good thing if someone could think up a theory that could account for Hubble redshift using special relativity, honour the Copernican and Cosmological principles, explain both the presence of the microwave background and why it is so homogeneous, eliminate the need for expanding spacetime, inflation, dark matter and dark energy, explain anomolously fast spiral galaxy rotation curves using ordinary Newtonian mechanics, explain the presence and frequency of the cosmic radio background, thaw out the general relativity frozen block universe, provide a mechanism for how Mach’s principle actually works and point out a rather big flaw at the heart of quantum mechanics (probably doing away with the need for an Everett multiverse in the process)? Spoiler alert – I have such a theory. It can be summed up in 12 words and 2 numbers, which is all you need to account for all the phenomena listed above. You could read a paper about it if I could get it published. Unsurprisingly nobody seems to keen to read, peer review or approve a paper that says that Einstein made a rather big mistake with general relativity but was surprisingly percipient about quantum mechanics! If anyone has the ability to approve cosmology papers on Arxiv.org and doesn’t mind risking the ridicule of their peers, please get in touch! Do you have a reference for this paper? I’m pretty sure that Davis and Lineweaver didn’t forget a factor of 1+z, but I can check if you give me the reference. 12 words and 2 numbers? Post it here as a comment. The 12 words and 2 numbers probably won’t make much sense without either the paper or accompanying presentation. Give me your email address and I’ll send you a copy of both. I note that this, like his other theory papers, are in the “physics” category. Caveat lector. On the same note, it hasn’t appeared in any journal. This does raise some flags, but I will read it and comment if I have time. Why not just put your 12 words and 2 numbers paper on the web somewhere and post a link to it? His theory doesn’t fit the data, so he invokes a deus ex machina, which even he admits is speculative, with no physical motivation whatsoever. When touting an alternative explanation to standard physics, one cannot just leave important questions open. Even back in the day it was a small minority propagating an alternative view, but this is long since solved, among other methods via gravitational lensing. I forgot to mention in my first post here that another benefit of assuming a special relativity explanation for Hubble redshift data is that now vacuum energy is spread throughout space, even places the universe hasn’t reached yet. This eliminates by symmetry the vacuum catastrophe problem of conventional cosmology, which has been described as the worst prediction in physics, with I believe an error of anywhere between 10^60 or 10^120 depending on how you do the calculation. Phillip, thank you for responding to my posts (and Peter thank you for letting me use your blog to discuss my ideas). I made some pretty extraordinary claims in my first post, which means there is a bimodal conclusion to be drawn; either I am another internet crank making wild unsubstantiated claims or I really am on to something important. From your perspective, the odds really must be overwhelming that I am just another crank. The brightest minds in the world have been working on these problems for a hundred years and yet I claim to have solved them with 12 words and 2 numbers. Your scepticism about Alasdair’s paper because of its provenance highlights the problems I face. Alasdair sits on the edges of polite society in the scientific world, while I am sitting all alone in a wilderness that noone ever comes to visit. That can be demonstrated by the fact that nobody else has noticed the Davis and Lineweaver 1+z error in the fifteen years since it was published. On the other hand, the view from where I sit is amazing. So many of the big problems in physics and cosmology fall away (like the vacuum catastrophe problem) once you join me here in this particular spot in the scientific wilderness. However, the journey to get here involves discarding some ideas that are almost universally unquestioned. My 12 words and 2 numbers contain three key assumptions. Each of these assumptions has been considered before, individually or in pairs, but I don’t believe anyone has considered all three together before, and it is the combination that unlocks all the long-standing problems. One of the three ideas is what we are discussing now; that the Hubble redshift is a special relativity effect, not expanding spacetime. If you have the time to read Alasdair’s paper and reproduce his data (I have done both) you will see that his analysis matches experimental data and Davis and Lineweaver, despite their better provenance, doesn’t. To get the best match with observations above z=1 using special relativity, as Alasdair says in his paper, you have to include a gentle acceleration factor (I use 8.0E-13 m.s-2). This is equivalent to dark energy. The difference with dark energy is that I believe I know where the energy source for this acceleration comes from – it is half the photon energy of more than 200 hundred billion galaxies each containing 200 billion stars. You also need to assume a current expansion rate to match the Hubble redshift data. This is one of the two numbers in my elusive sentence, and it is 99.98% of the speed of light. To join me here in this wilderness spot you have to accept that as we sit typing to each other, we are moving through space at 99.98% of the speed of light, relative to the centre of mass of the universe. And yes, the reason I am being coy about my 12 words and 2 numbers is that I think this is the easiest to accept of my three key assumptions. If I came straight out with the other two you would undoubtedly lump me with Brodix and other interested amateurs of his ilk (no offence intended Brodix – if it’s any consolation, I do believe you are right about expanding spacetime and Einstein is wrong!) and discontinue this dialogue. Which would be a pity. And it is precisely because these assumptions are difficult to accept that nobody else has reached this place in solution space in the last hundred years. Phillip, my last post overlapped with yours and I didn’t respond to all your points. I am not endorsing all the conclusions of Alasdair’s paper. He was trying to retain the energy conservation benefits of special relativity while retaining the concordance cosmology concept of expanding spacetime, which he clearly had difficulty doing. I am not trying to retain expanding spacetime as he was. However, as part of this analysis he uncovered the error in the Davis and Lineweaver paper, and I believe he was correct in that finding. Phillip, I sent a copy of my paper and presentation to what I think is your correct email address. Please let me know here if you didn’t receive it.